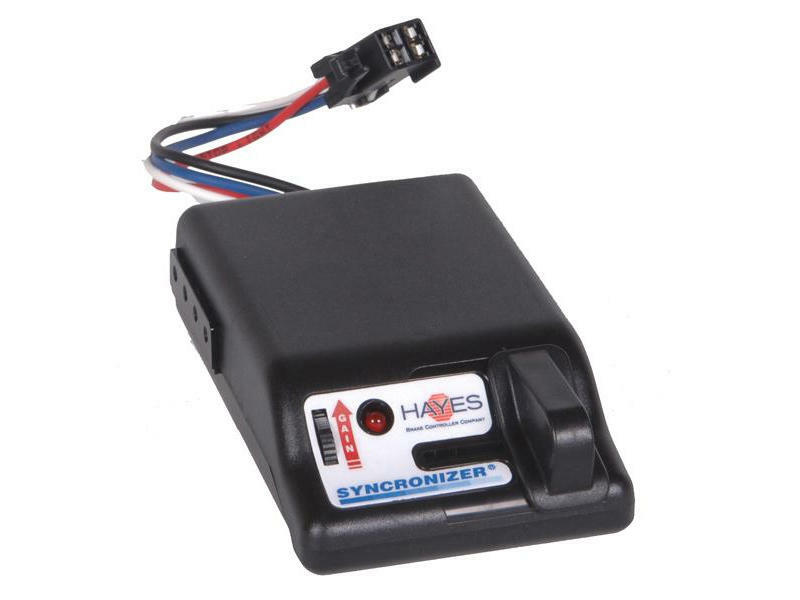 The Syncronizer® is a brake controller for single and tandem axle trailers equipped with electric brakes. It modulates and controls current from the battery to the trailer brakes. The longer the brake pedal is depressed the greater the current delivered to the trailer brakes until the preset brake power setting is reached.